Cake in general is always a good thing. Duh. You don’t need me telling you that. 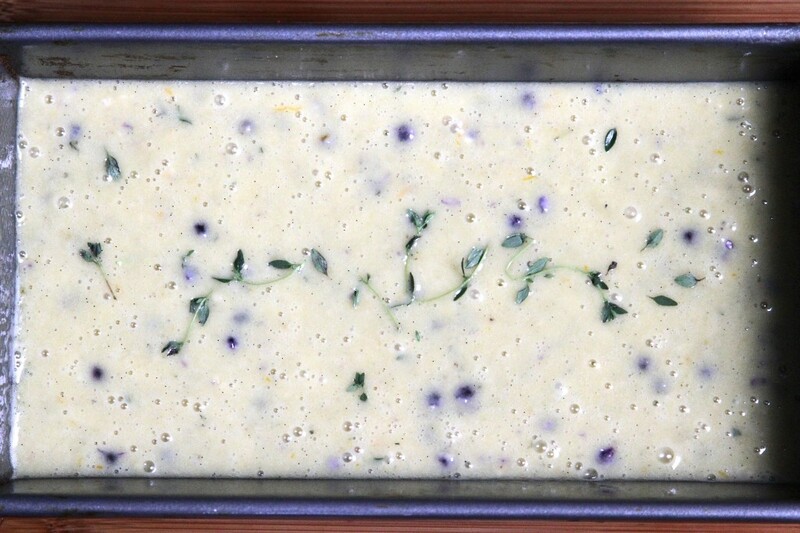 Today, however, we’ll be talking specifically about this Lemon Blueberry & Thyme Olive Oil Pound Cake. I baked it this morning, and well, I just had to share! It’s a cake for me. It’s a cake for you.! 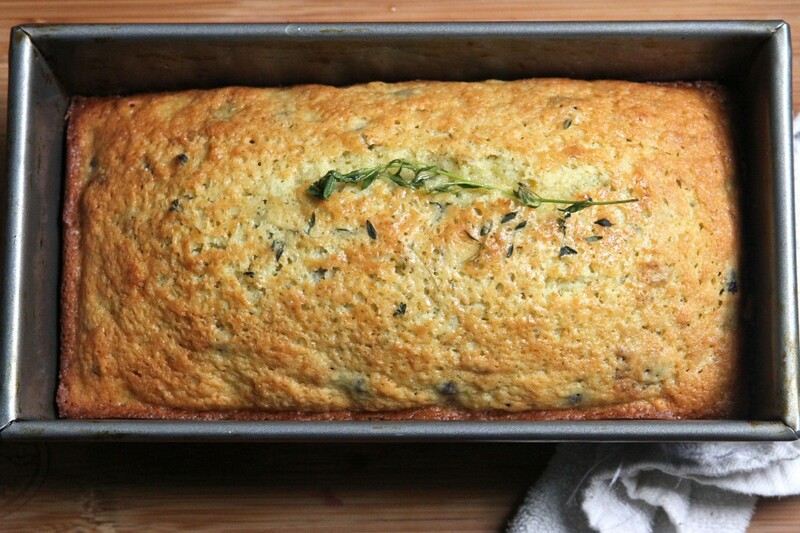 It’s a cake that celebrates fresh herbs, fruit, and olive oil. How can you not dig that? Truth: Currently all I want in life is fresh herbs, fruit, and olive oil. It’s just proper Spring time/almost Summertime etiquette, you see. After a long winter, you’re meant to yearn for these things! Let’s embrace it! Let’s live it up and get fresh with all the new things the Earth is sprouting up and throwing our way. Blueberries! Lemons! Thyme! These guys make the prettiest batter. And das the truth. Pretty batter = Pretty cakes. Pretty, tasty cakes = happy faces. Blueberries are actually not is season yet here, but I had some frozen from last Summer still sleeping in my freezer, and I figured they’ll be here for most soon enough. Fresh thyme is in full bloom at all of the local markets around my hood, and it’s pretty easy to find year round. Fresh lemon zest and juice play nice with both the berries and the thyme, and add a real punch of flavor to this lovely pound cake. OH! And olive oil! I used olive oil instead of the butter, because I’m just in love with olive oil. It’s in my blood. And it makes a damn good cake. Look at that lemon, thyme, vanilla bean sugar. Magical stuff happening in that bowl. Magical stuff, I tell ya. Bursting with bright blueberries, fresh thyme, and sassy lemon, this cake didn’t need any help being a winner… but that didn’t stop me from going a little overboard and mixing up a quick lemon thyme simple syrup. It takes this cake from girl-next-door to a total knockout like that. I’m a cake for breakfast kind of human, so I’m naturally inclined to tell you this is the-perfect-breakfast cake. That being said, it’s also a great snack cake, and it’s totally a pass-around-the-dinner table appropriate kind of cake. This pound cake is one diverse broad! 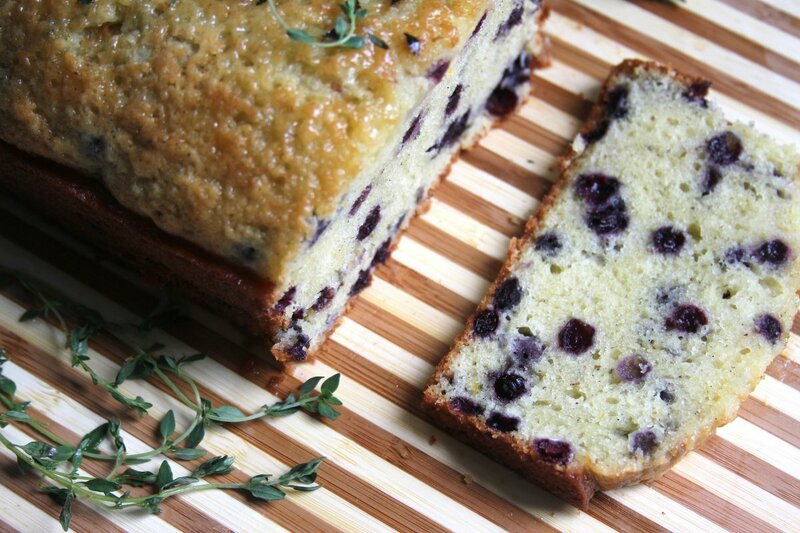 Another bonus: Lemon Blueberry & Thyme Olive Oil Pound Cake freezes great! We sliced it up, individually wrapped the pieces, and will be enjoying this for breakfast for the next few weeks. I think you should go ahead and do the same. C’mon, let’s be breakfast twinsies! Preheat oven to 350 degrees (F). Butter and lightly flour a large loaf pan, and set it aside. In a lare mixing bowl whisk together the cake flour, 1 cup of the all purpose flour, baking powder, nutmeg, and salt. Set aside. Add sugar to a small mixing bowl, then with your fingers rub the vanilla bean, thyme, and lemon zest, mixing until everything is well incorporated. Stir the eggs and yolk into the sugar mixture, then add the buttermilk and olive oil, whisking well. Carefully fold the dry mixture into the wet one, stirring until the batter has almost no trace of flour in it. Toss the blueberries with the remaining 2 tablespoons of flour, then fold them into the batter. Pour batter into prepared pan, and bake for 60-70 minutes, or until a cake tester comes out clean. Cake freezes well, and stays fresh on the counter (wrapped in foil) for up to 3 days. 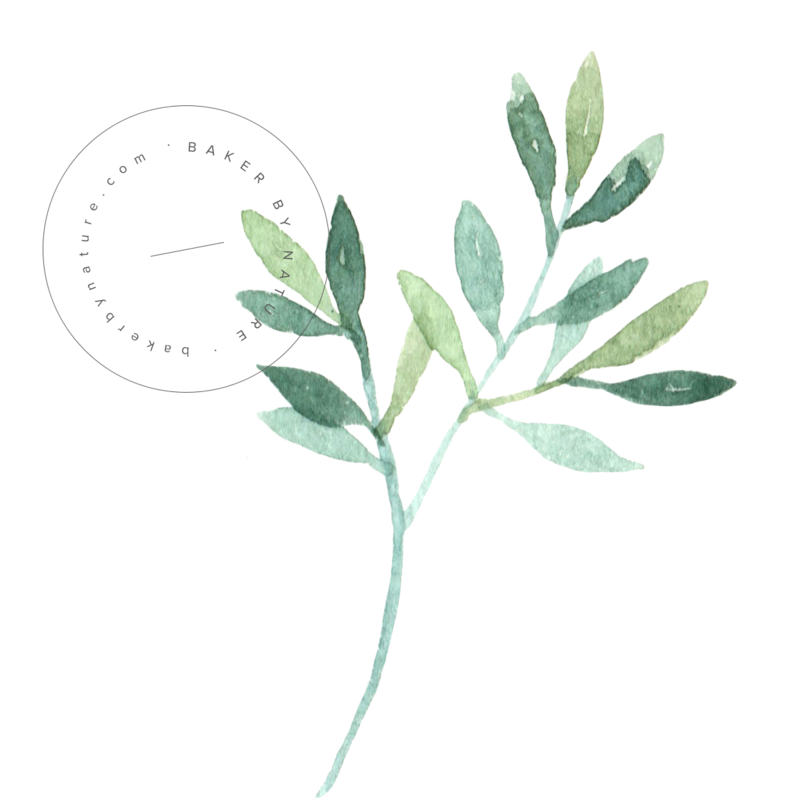 Mix water, sugar, and thyme together in a small saucepan over medium heat, and allow mixture to come to a boil, simmering for one or two minutes before turning heat off. Remove pan from stove and stir in lemon juice. Pour syrup into a small heat proof bowl and let it cool. This sounds fabulous! Thanks for sharing — this is something I definitely never would’ve though of on my own, but I want to eat it NOW. I had olive oil cake in Santa Brabara for the fist time a few years ago and I was amazing at how great it was. 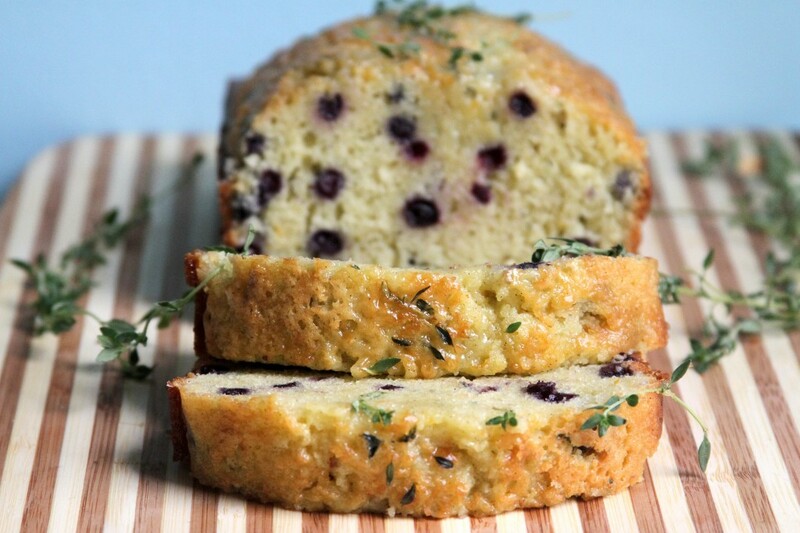 I LOVE that you added blueberries and thyme, such a beautiful flavor combo. I love some blueberry pound cake.. especially with the added lemon! I bet this tastes delicious! Wow, this pound cake looks so lovely. I love a good pound cake and this is certainly that. Nice flavor combo! This looks great – I’d happily eat a slice or two for breakfast! 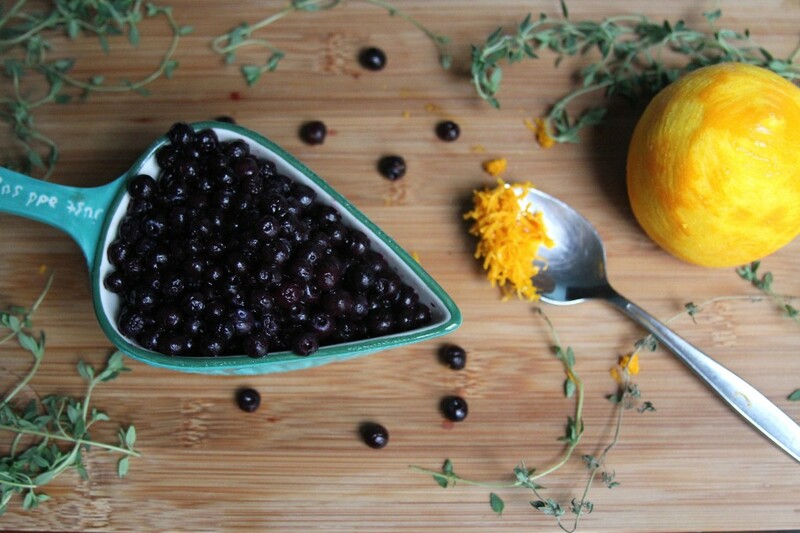 Blueberries and lemons are made for each other. Wow! This is like all of the most wonderful flavors of spring rolled up into one amazing cake…love it! This just sounds like the best cake ever! And that batter is gorgeous! This looks simply amazing… I think I will have to try it this weekend! So creative and an AWESOME combination of flavors! Love love love!!! I absolutely love baking with thyme! I thought it might be overpowering, but it’s not. Love the addition of the syrup too. I love syrups! I really like baking with herbs but it’s been so darn long since I have. This coffee cake looks sensational, Ashley! Love the flavors! Oh my, this looks SO heavenly. What an awesome combination of flavors. I soooo wish I could have a slice for an afternoon snack right now – YUM! Great flavor combo and so pretty! I love the depth fresh herbs add to sweet treats. This sounds so perfectly summery and delicious! I want a slice of this right now. The blueberry, thyme, lemon flavor combo sounds so scrumptious. Pinned! Love that this pound cake has so many wonderful summery flavors going on Ashley! 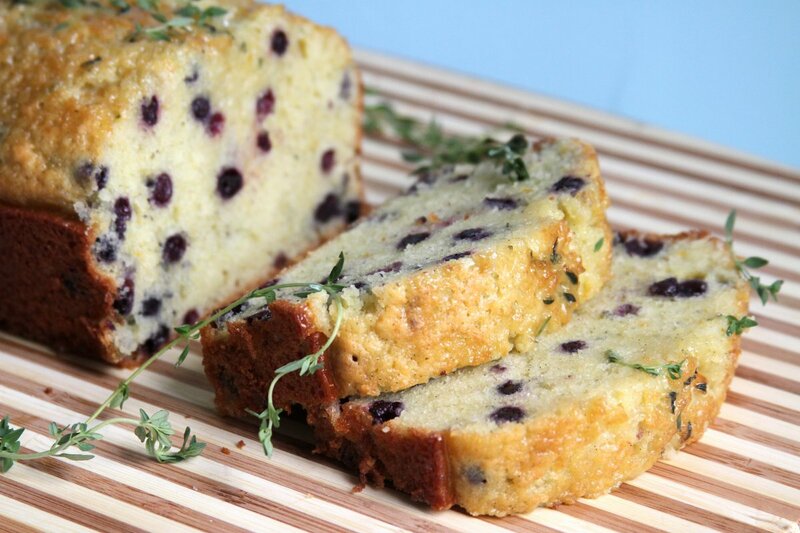 Lemon and blueberries are already perfect together but the addition of thyme just brings this cake to another level! A magical level:) The batter really looks oh so pretty too! Yum! First, these photos are breath-taking. The one of the batter with the thyme sprig floating? I want it on my wall! Second, this pound cake has all my favorite flavors in one. Love this, love you! Olive oil in cake? Oh my, you are a GENIUS! Love this entire post and recipe. Great job!! cake with these types of ingredients is definitely a winner. this looks so flipping good!! 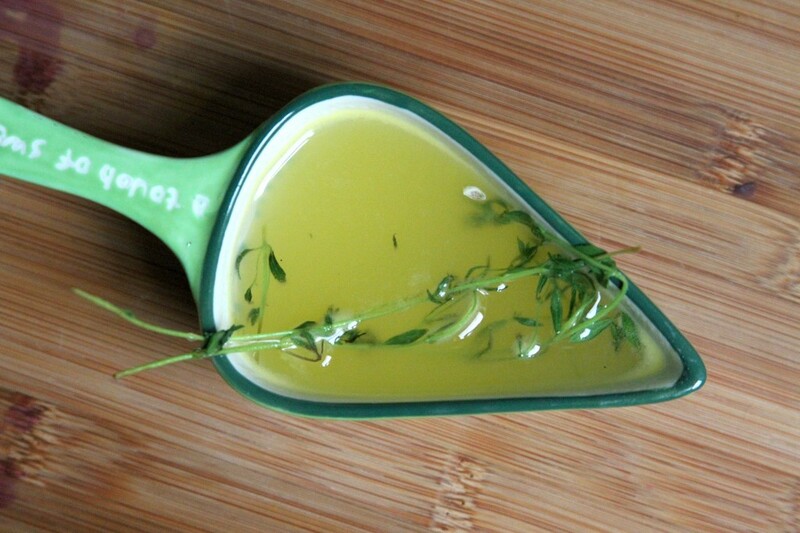 I LOVE using thyme in sweets….such a delicious combo. This cake looks really moist. yummy!!! My favorite is the photo of the batter! So pretty! Oh my gosh, all the flavors! You’re killing me! 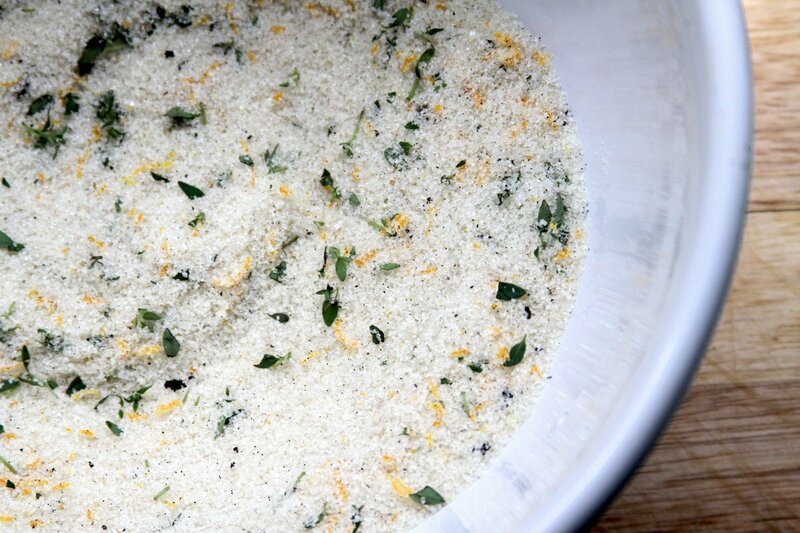 The batter looks so beautiful…and infusing the sugar with zest and thyme. Must. make. pronto! This sounds totally incredible! It is just bursting with berries – holy cow! Wow, it IS a diverse broad as you called it. Love that! 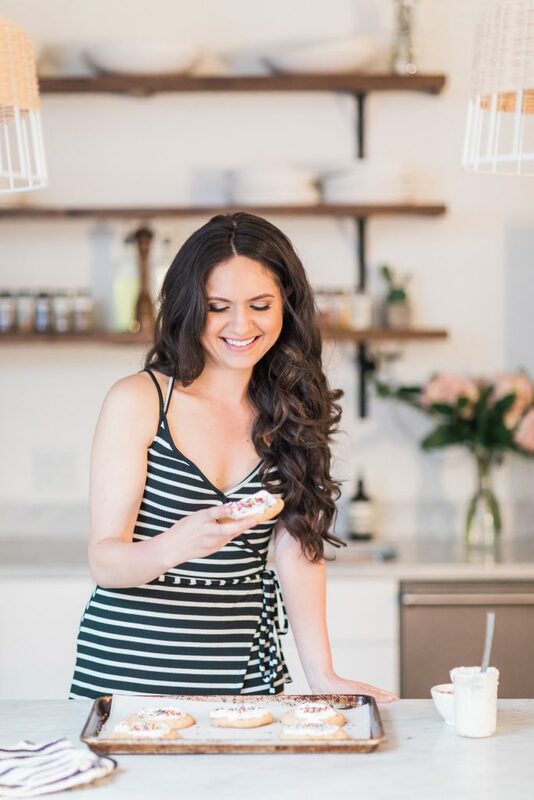 I never bake with olive oil…coconut and canola are my baking choices but keep meaning to try olive! Gorgeous bread! Wow! I see we’re totally on the same wavelength!! 🙂 This looks wonderful with the blueberries!! yum. . totally going to try this! This is dynamite! 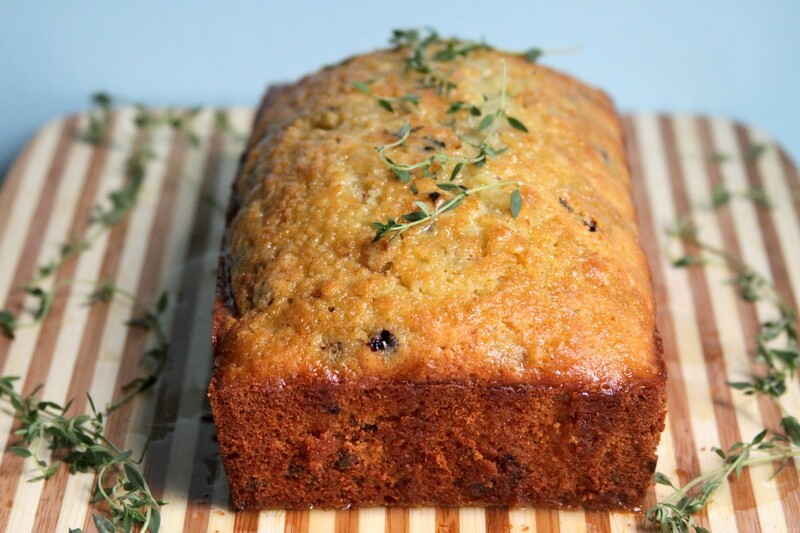 I have a Lemon thyme loaf on my blog and the thyme tastes great. I Love the BB and especially the olive oil! What a beautiful cake. I love the first photo – gorgeous!